Méribel is constantly looking for new ways to cater to client’s needs and consistently roll out new Ski Pass options accordingly. This year is to be no exception with a duo pass being available to all skiers in pairs. If you buy two 6 day Méribel or Three Valleys ski passes you’ll save 10 and 7 euros per person respectively, the only stipulation being that you make one payment, for the same duration and the same skiing area. While your other half is off buying your lift pass, take a peek at the indoor “Lounge” area at the Chaudanne. With free wifi allowing you to keep connected with your loved ones back home, this centrally located picnic area has also had new TV screens fitted, meaning you can keep up to date on ski conditions, lift openings and changes in weather. Not to be outdone in the planning stakes, the ESF Méribel have also got some new tricks up their sleeve. This year, they will be offering Biathlon lessons; combining cross-country skiing and rifle shooting. A one and a half hour session will set you back just 110 euros. If slow and steady is more your style, sign yourself up for a walk through Méribel’s beautiful forests, finishing up with a gourmet meal at one of the resort’s finest restaurants. 100 euros will cover both your snowshoeing session and meal. If you prefer to go it alone, there are also plans for a new walking path at the foot of Mont Vallon, at the Plan des Mains. This will be open to walkers and snowshoers alike and will be accessible via the Plan des Mains and Plattières lifts. Méribel comes up trumps again by offering a special walkers lift pass, equalling no hefty price tag for enjoying good old mother nature. 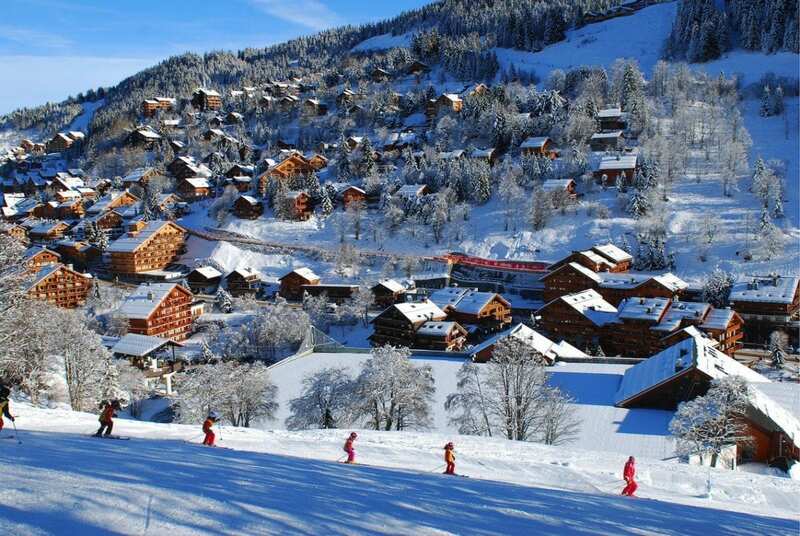 Méribel is renowned for the amount of children related activities on offer and this year is to be no different. The Ski Cool area at the Altiport has been made larger, meaning that children and beginners have even more space to peacefully practise their turns. A children’s entertainer will be putting on free activities five days a week in the Inuit Village (such as snowball fights, meeting huskies, building igloos and more) and the Inuit piste itself has been made bigger and will feature two brand new trails throughout the forest. For those envisaging a morning off the slopes, why not try the Tuesday morning family session at Méribel’s Olympic ice-rink? Le Jardin de Glace is open from 10-12pm and will cost just 4 euros pp (for adults and children, including skate hire). Alternately, the new indoor play area, the Kenothèque enables you to spend time together as a family, with toys, games and books on offer. The programme of activities will guarantee your little ones will be entertained all week. So much is planned for season 2014/15 in Meribel that we just can’t wait until December. The countdown has finally begun!